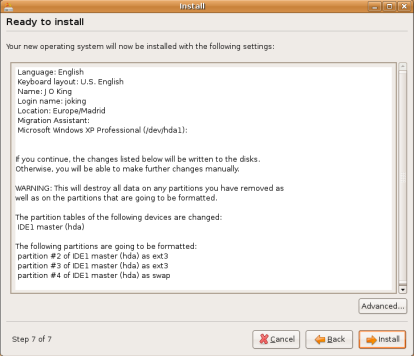 This guide is an overview of how the installation process of Ubuntu 7.04 (Feisty Fawn) differs from that of Ubuntu 6.06 (Dapper Drake). Ubuntu Feisty was released in April of 2007 and is the most user-friendly version of Ubuntu yet. 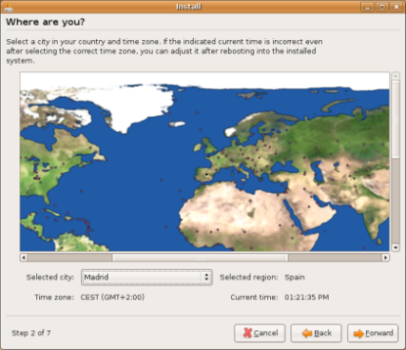 Instead, one sets the location during the installation and the time afterward. This will save many people from inadvertently undoing their timezone setting when setting the time. When installing Feisty, one should be aware that the partitioning and mount point designation steps of the 6.06 installation are now one step, partitioning. This combination will make it easier to ensure the right mount point goes with each partition. 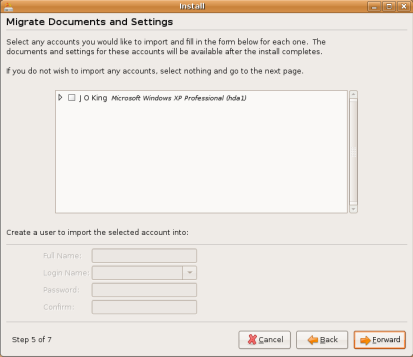 On the last step, you face a window similar to Ubuntu 6.06. Simply click "Install" and let Ubuntu do the dirty work. When it is done, don't forget to visit the Update section to learn about keeping Feisty up-to-date.